It's a mobile world, we use mobile devices in great ways but it's not fluid yet. You can tap and pay with your phone using your fingerprint for security anywhere that credit cards are accepted. You would think that modes of transportation, being such a mobile thing in its very nature, would be a good place for mobile technology to work well for us. You can check-in for your flight, and even book it, entirely on your mobile device via browser or app. You can check-in at the airport using a bar code or QR code on your device. 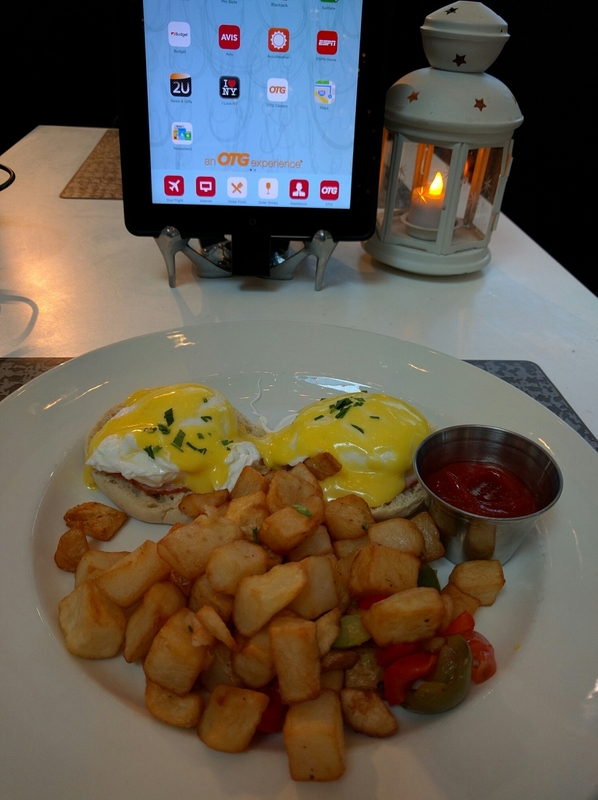 You can pull up a seat in the airport food court and order a meal from the iPad mounted at the table. Passing marks for the airline industry! You can buy a Greyhound bus ticket on your device and when you show up to board with your confirmation number and receipt PDF on your phone - "sorry you had to print that out; you should have brought cash instead." What? Yes, that was my experience, not 5 or 10 years ago, but last week when my flight arrived too late for me to catch my scheduled shuttle bus and I rushed to book a Greyhound bus to get me home from the airport some 80 miles away. I ended up, after the bus driver was not going to even let me board the bus with my non-refundable ticket, call ahead to the next stop where the ticket agent was willing to print out my ticket for me - no thanks to the bus driver who really did not want to let me board the bus. Get with the modern world Greyhound! Travellers should be able to book on-line, show their confirmation from their phone and even track how late the bus is going to be. When the bus was a no-show for its scheduled time, I called customer service and after 20 minutes talking with a human just for them to even find my reservation, they were able to tell me that the bus was over an hour late. Clearly the bus is being tracked by GPS since customer service could relay the information which I passed on to the other two people waiting in line. So, come on Greyhound - get with the modern age. Allow boarding without a printed receipt and find bus drivers who aren't so rude.